WARNING! If you are hungry you might want to close your browser now. These eats are worth travelling for. The deep-fried duck nuggets served in a paper bag were so popular that when the owner removed them off the menu thinking they had done their time, the public rebelled! Located in George street, only a short walk for ULTIQA Rothbury hotel, you’ll have to try these next time you stay! Dessert like you’ve never seen. Try their Doughnut Cone with Caramel Ice Cream and salted caramel syringe. Located both in Queen Street Mall and Eat Street Markets, you won’t be disappointed! The gold coast is full of booming restaurants and on trend food. Its iconic Burleigh Beachfront location is almost as iconic as its Patagonian Toothfish. So popular people ring ahead to check if the restaurant has it, and if they don’t have it they wont dine. 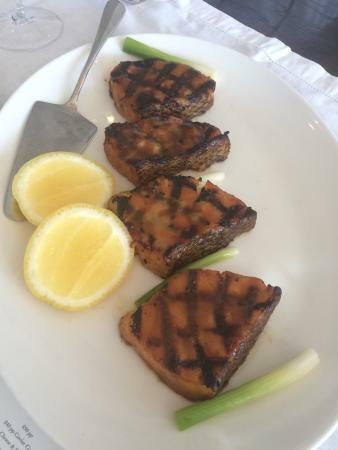 The fish is char grilled, finished in the oven and gets it decadent flavour from the light miso glaze. You can’t visit the gold Coast without trying something at Paddock Bakery, especially their Cruffins. A mix between a croissant and a muffin then stuffed with delicious fillings. So popular some days they sell out, you will have to be quick. Based on the factories 77% Ecuador Cacao dark chocolate, these chewy delights are so popular they sell out in minutes of a delivery. A Chai and Raspberry infusion that is simply too good not to try. The coffee at Little May makes the perfect companion to this treat. Located in Montville, stop here while you check out the beautiful Sunshine Coat Hinterland. We look forward to having you stay with us on your next vacation!